This is a down home, simple, inexpensive, delicious meal that I love to make. Whenever I see the turkey kielbasa go on sale, I stock up so I can make this for the fam. With just four main ingredients, it is a no frills kind of recipe that is perfect for busy weeknights or those nights when Momma just don't feel like cookin'. I started buying the turkey kielbasa and smoked sausage (as opposed to pork or beef) a couple of years ago when I decided to try to start eating and cooking a little healthier post-baby. Well, there was this one night that my husband saw that the package on the counter said turkey. He started protesting the fact that I was using turkey sausage instead of beef, but I assured him that it was the kind I've always bought and that we, as a family, have all always liked it just fine. However, to appease him and his beef-driven mind, I told him I'd buy beef next time. So I did. And you know what? I'll never buy it again. The beef was way too greasy for our liking and was really mushy and unappetizing as a whole. He admitted I was right. Woot woot. Momma knows what she's talking about in the kitchen. That's not to say I always prefer turkey to beef. Offer me a slice of turkey or a fat juicy steak and I'm going for the red meat every time, but as far as smoked sausage, kielbasa and even hot dogs for that matter, we're a turkey-lovin' family. Gobble gobble. This comes together super quickly and everyone including the 18 month-old, 5 year-old and us old folk all love it. Serve it with a nice side salad or some fried eggs and you have a healthy meal that is super yummo! Have you tried this popular recipe? Let me know how you and your family liked it in the comments below! 1. In a heavy-bottomed skillet (I like to use my cast iron), heat 2 tbsp of olive oil over medium-high heat. Add the potatoes to the skillet and season with salt and pepper. Fry until golden brown and cooked through, around 8-10 minutes, stirring a few times to ensure even browning. 2. In a separate skillet, brown the sliced kielbasa for around 5 minutes in 1 tbsp of olive oil over medium-high heat. Remove the kielbasa from the pan and set aside. Add the peppers and onions to the skillet and season with a pinch of salt and pepper. Cook for 5 minutes, or until softened, stirring occasionally. 3. 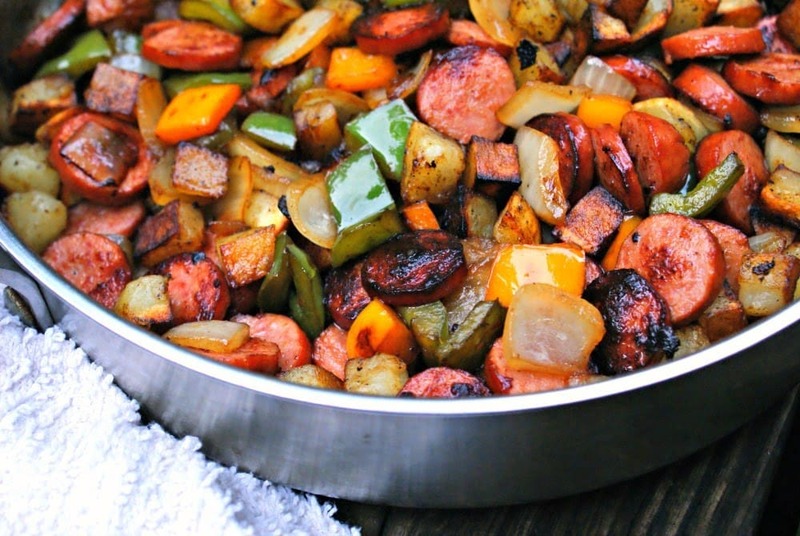 Add the cooked potatoes and kielbasa to the skillet with the onions and peppers and mix everything together. Serve nice and hot! I use two skillets to make this recipe. I used to make it in one, but something always came out wrong. I've learned that when I cook my potatoes in a separate skillet they cook more evenly and stay nice and crispy when they're added to the other ingredients right before serving. Just the thing for a quick dinner. Thought the family would be together tonight but everyone has gone their separate ways. So, yah me! I get to try this yummy new dish with no sharing! LOL! Lucky you! Ha! I swear, I could totally eat the whole pan myself. I'm glad you liked it! Oooh, I've never had turkey kielbasa but you've totally convinced me! I will look for it on my next grocery run. This looks so comforting and delicious! I think mushrooms would be amazing in this dish. I am making it with Italian sausage and frozen cubed hash brown potatoes. Almost done and smells amazing. I think this will be a keeper. Thank you!!! You are very welcome! I bet it was delish with the Italian sausage! I make a very similar dish with italian sausage, kielbasa, peppers, potatoes, onion, garlic, salt, pepper and fresh green beans. One of our favorite meals!! I wonder how this would taste with cajun seasoning (one of my favorites for potatoes)? Looooove cajun seasoning. Great idea. This would also be great with yellow squash and zucchini. Made this tonight and it was great! I used sweet potatoes and Cajun seasoning yum!Thanks for sharing this! So glad you liked it! I've seen a lot of people on Pinterest saying they sub out sweet potatoes. I'm going to have to try it that way, too! My boys LOVE kielbasa and I've been looking for easy ways to jazz it up. Can't wait to try this out! Thank you! You are so welcome! I hope they like it. I just stopped by after seeing your post on the SITS Girls page. This looks super yummy and easy! Every week I do a meal plan and hopefully this will be featured in an upcoming week. Cannot wait to try it! What would you pair this with ? We usually eat this by itself seeing as it's got some meat, some veggies and a strarch, but it would be awesome served with some fried eggs or a garden salad. We filled corn tortillas it. Topped them with homemade salsa too. Very satisfying. Can't wait to try this... I'm gonna add some pineapple! Love this! When I have left over sweet potato hash; I will heat up & have with a fried egg fr breakfast! Do you by chance have the calorie breakdown? 1470 calories for the entire dish, including the 3T of olive oil. Just divide by number of servings you plate. Made this for dinner last night and it was a hit! Definitely going to add it our to our regular rotation. Thanks!! I'm so glad you enjoyed it. Thanks for letting me know! This was awesome!! Huge hit at our house! Everyone ate it - thanks! I made this tonight and it was delicious and very easy to make! This recipe is a keeper. Which type of potatoes are supposed to be used? I don't cook a lot with potatoes so I am not sure if the recipe is asking for baked potatoes (the big kind) or the little red skinned potatoes? Thanks! I've used both, but I prefer to use russet potatoes (the baked potato kind). Hmmm, maybe your pan was not hot enough? You need a good hot pan and don't stir until they're a little golden on one side. Cast iron pan browns the potatoes nicely! Dumb question, but yellow or white onion? And the whole onion? I always use yellow onions. Preferably sweet. And yes, the whole onion! You can always use less, if it looks like too much for your tastes. 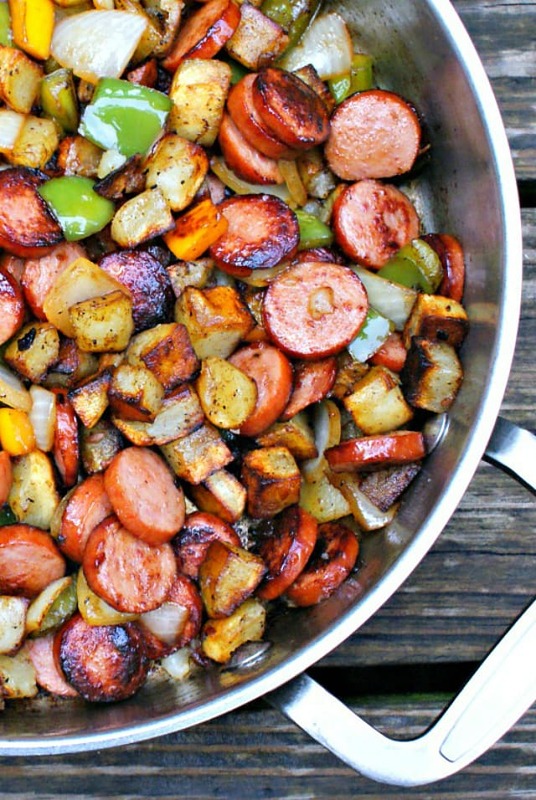 This looks amazing - and we love kielbasa! We never have leftovers of this one either. This was great! We made this for lunch and all of the kids adored it too!! We followed the recipe closely - only used sweet potato instead of Irish potatoes. Great! Great idea to serve this as a hot lunch option. Thank you for this recipe. It's so rare that I get a 2 thumbs up rating from very person in my family when I try new meals. I made it thinking I'd have the leftovers for lunch tomorrow but no such luck....it's gone! Two thumbs up from everyone? Yay! This was delish! Paired it with brown rice, loved it. Thank you for the wonderful dinner idea. Did you double the recipe and still use one pan? That might explain why everything was a bit mushy. If the pan is too crowded, it might not brown up quite so well. So glad it still tasted good for you though! The flavor combo just works! Made this tonight and it was so yummy! I added 2 cloves of fresh garlic with the onions and peppers. YUM!! Thanks - just made this tonight and it was great! I added a zucchini with the peppers and onions. Almost ate all of it by myself! Loved it. I'm not much for standing over a stove so I roasted my in the oven at 450 degrees for 20 min. Turned out perfect. I'd never thought of roasting this dish. Great idea! Just thought you should know that this recipe looks so good that I just tried to pin it only to find out I had already done so about a month back! This sounds yummy! We're gonna make it tonight! Yay! I hope you loved it! Made this for dinner tonight, it was fantastic! Do not hesitate to make this. Followed the recipe exactly, done in 30 minutes flat, thank you! Wonderful! So glad to hear you enjoyed it. Thanks for taking the time to comment! I use ground turkey, turkey sausage, and turkey bacon all the time, but I've never tried turkey kielbasa! This looks so easy and delicious. I'll definitely have to give it a try! OMG, you will LOVE it. Made this for dinner tonight. Super easy and super tasty. Put it on the table with Sriracha and toast, and it was perfect. Next time I'd like to add a couple fried eggs and make it a breakfast for dinner! Mmmmm, love the idea of adding some Sriracha. Totally going to try that. This is also really good if you substitute the potatoes with 2 packs of micro rice, such as Uncle Bens savoury chicken. I have a big family so make it go a bit further with a small tin of sweetcorn, fresh mushrooms and finally some frozen peas chucked in at the end. Yum. We have made this several times over the past few months (thanks so much for sharing!) it is such good "comfort food". Tonight I got creative and threw a can of corn in the pan with the potatoes... YUM! I love that I can pretty much throw anything in and it's going to taste good. This has truly become a staple around our house, so thanks a bunch! Hi Megan! Thanks so much for dropping by to leave a comment. I'm so glad you and your family enjoyed it! And I totally agree about the versatility. So many things could be added in to customize it. LOVE the idea of corn! Made it. Worked nicely. Fast and tasty. I would say 3-4. It feeds my family of four, but my kids (2 and5) aren't always huge eaters. I made this tonight and it was delicious. Thank you so much for the recipe. My family loved it so much. .....no leftovers. Could I use frozen diced potatoes? Sure you could! Just cook them according to the package directions and then move to step 2. This sounds delish. I always cube my potatoes and put them in the microwave to soften them a bit and then add a little bit of bacon grease and they crisp up great and quick. I made this last night and it was a hit! Which is rare with a house of 10. I used homemade smoked kielbasa from the polish store around the corner and added creole seasoning. They asked if we can have this often. Thank you! You are so welcome! How lucky for you to have a Polish store so close by. I'm jealous! Oh, yes. Love this idea. Thanks! My boyfriend was very skeptical about the turkey kielbasa, just like your husband, when he saw it on the counter -- but he loved it. He hasn't stopped talking about it since last night! I subbed the russet potatoes for sweet (got him to eat those too!) It took a little longer but was very delish! Also added a homemade cajun seasoning as someone suggested in earlier comments. This is a keeper, thank you! So glad you got your man to give it a shot! I just made this and it was delicious! It was quick and easy to make, and the fact that it's something a 6 year old enjoys, that's a real plus! My 2-year-old and 6-year-old both gobble it up, too! Made this for dinner tonight both my 3 year old and husband loved it! Easy to make and delicious. Added some mushrooms too. Shredded cabbage or sour kraut added at the end an heat until just warm is another idea. We eat this served with Dijon (I like that) or yellow mustard (my husband likes). Yum, I can't wait to try this! I've been searching for a cast iron skillet, can you recommend yours? I am thinking for brunch with a sweet coffee cake. AND mimosas. How Many does this serve? I have tried it once before and it was great! But I forget if we had leftovers. I am planning on cooking it on our beach vacation with the in-laws. Doing the low carb thing, so I substituted the potatoes with cauliflower. Delish!!! Sure! Just cook then according to the package instructions and then mix with the rest. You are so wise to cook the potatoes in a separate skillet. I've made this twice now and both times it comes out perfect. What a happy combination of flavors! Excellent, just had to comment to let you know! I ended up adding snow peas with yellow pepper and onion. And also added pepper flakes after it was all mixed together then fresh tomatoes after it was on my plate! My husband and I loved this. I have made this several times!! It's my go to dinner!! I use turkey kielbasa and only green peppers since my husband only likes green peppers. It's the best and so simple to make. Thanks for this great recipe. I guess you can figure out that I'm making it tonight!!! Found turkey sausage at Aldi. Made this for breakfast. Doubled the recipe, used golden potatoes and roasted them in the oven first. Was so great didn't even bother to make the eggs. Thanks. Yum! I used smoked sausage instead and it was fantastic! I've had "sausage potatoes peppers onion something" on my radar/to do list for a long time and after a long search, I decided to use your particular recipe. It is now one of my and my husband's favorites. I add two tablespoons of cajun seasoning but otherwise it is the same. We like ours with eggs on top for dinner and plain leftovers for lunch. Thank you so much for this!! I have made dishes like this before but usually with cabbage and onion and kielbasa. I like the addition of the peppers and potatoes! 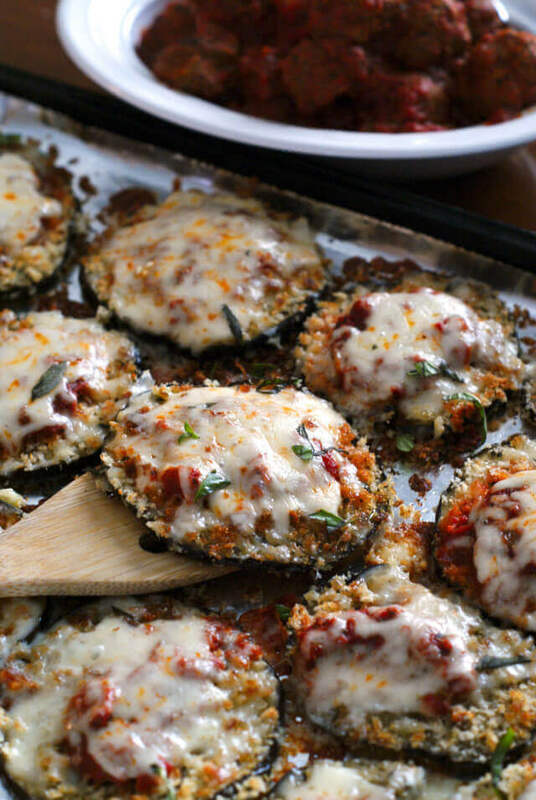 We are trying this tonight with sweet potatoes (because they're healthier). I love turkey kielbasa so this should be yummy! I love how versatile this recipe is- you can sub or add almost any veggie and it will still be yummy! Thanks for the inspiration. This looks amazing and we love turkey kielbosi and potatoes but any other suggestions for different veggies to mix in? I am allergic to onions (I know odd) and dont like peppers. Trying to figure out what else may be good with this. Thanks! I make something similar by putting all the ingredients into a bowl and tossing with olive oil and seasoning (love cajun or seasoned salt or a couple tablespoons from a Potato Toppers packet-- use what you like!) then putting it all in a 10x13 baking dish and baking at 375 for 30 mins. I cut the sausage/kielbasa into quarters so that it really flavors the veggies. I also use both white and sweet potatoes. YUM! gonna have to make it this weekend because my mouth is watering for it now! I made this last night for my boyfriend (who is picky about his vegetables) and I (cooking without breaking the wallet) and it was a total hit. I twisted the recipe a bit and used a potato medley from Trader Joe's. He loved the purple potatoes, and added an appetizing color! I also used garlic salt instead of regular, and used white onion (it was what I had on hand) rather than yellow. It was so good he thought my substituted chicken (apple smoked with chardonnay) sausage was kielbasa. I asked him what to call it so I knew what he meant when he wanted it again and all he could say was "Delicious!" Thank you for sharing! I love all these ingredients together. It's very tasty and delicious. Nice blog. Thanks. Is there one kind of potato that is better than the others in this recipe. It looks and sounds SO good! I usually use russet potatoes. Is a serving of this dish a cup, or a half a cup? For a real smoky and extra flavorful dish, try using Schmaltz's Kielbasy. Super flavorful!!! For a real smoky and extra flavorful dish, try using Schmaltz's Kielbasy. Super flavorful!!! 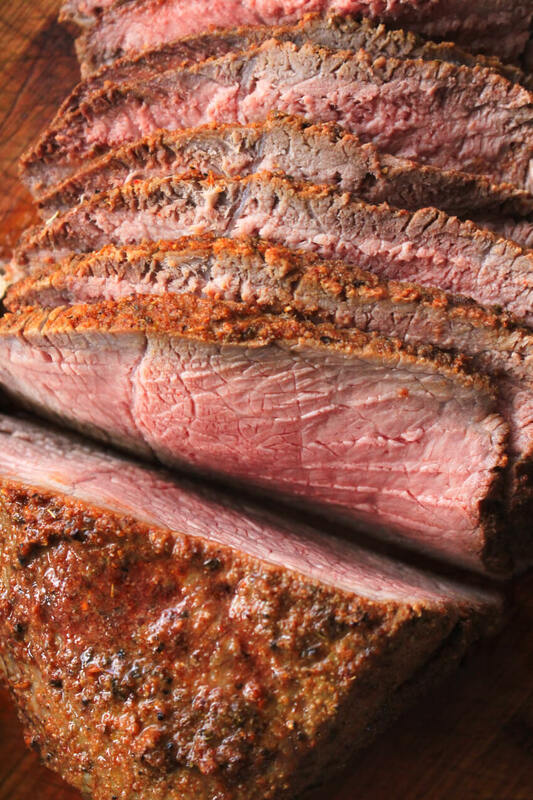 It works best with baby reds because they stay firmer and don't get mushy too easy. I make something just like this but I roast it all together in the oven or crock pot it on busy days. I just cut the potatoes in big chunks , cut the sausage up in big pieces , throw in the veggies and season a little. I never thought to try it your way for a quicker dinner, I definitely will though. I totally agree about the turkey as opposed to beef, works better in the smoked sausages. I have made this and I use a jelly roll pan and spread it all out on the pan. Bake at 400, till the potatoes crisp up and for some members of the family I sprinkle cheese lightly on 1/2 and let it melt. Dinner! I have been making something similar to this a long time,but I toss all with a litte dry Italian dressing, drizzle olive oil, and then bake it. I will have to try it this way. This was so good, and easy! I dont have a cast iron skillet so I roasted the potatoes and onion in the oven to get them nice and crisp! Then I cooked the peppers and sausage separately on the stove top. I also used red potatoes because that's what I had. Hubby loved it, I'll be making this more! I am trying to make something like this for about 2 days, I have to say that I have to try many time to do the same thing, thanks very much for your useful recipe. What is the nutritional information on this dish, and what is the serving size? I've made this several times since I came across this on Pinterest. OMG, this is AMAZING! Both my husband and son LOVE this dish! I use a 16" electric skillet instead of cooking it on the stove. Works great! Try adding some strips of jalapeno peppers for a spicy kick. From mild to really hot, depending on pallet, gives this a whole new venue, topped with a little cilantro garnish. Sprinkle in a teaspoon of ground cumin for a fiesta style dish. This great weight watchers friendly dish, for those of you who follow that regimen as my wife so religiously does. I've tried this dish before. My family loves it. Tonight i'm gonna try it with mushrooms, crushed red pepper flakes and grated sharp cheddar cheese. How many servings does the above portions yield you typically? I would say 3-4. It feeds my family of four, but my kids (3 and 7) aren't always huge eaters. We tried it for the first time tonight and loved it! I can make this vegan by adding a meatless sausage! Thanks! Added the leftovers to eggs the next morning. Mmmm! I made this the other night with the addition of corn, zucchini slices, and yellow squash slices. I tossed the potatoes with olive oil, salt, and garlic, spread them out on a cookie sheet, and roasted them in the oven at 475 fo 25 minutes. Then I just added them to the mix right before serving. That way, the potatoes can cook on their own while I prepare everything else, and they come out perfect. Super yummy! I'm making this tonight and already went grocery shopping read back and realized it's was turkey kielbasa do you think the beef will be ok if i drain it? Sure, it would work with beef kielbasa, too. A little greasier, but still good! Hi, James! Your version sounds so decadent. I love it! Hey there! I'm glad you enjoyed it! We make this same dish, but substitute white sticky rice for potatoes. While rice cooks in the rice cooker, brown kielbasa in cast iron skillet, then add peppers and onions (I use fresh frozen fajita mix with three kinds of peppers, cuts prep time to five minutes total) and cover until softened. Serve over rice. No salt, no pepper, no garlic...this dish flavors itself. It's our Monday night staple (who wants to cook on Monday??). Love the fajita mix idea! How many does you recipe feed? This is wonderful, only thing is I use sweet potatoes to make it more health..
Oh my goodness. This is amazing. Easy, fast, cheap, delicious. My favorite words. Thanks so much for this recipe! I was even able to whip it up while solo-parenting it with 1 and 3 yr olds when something came up for my husband. This is my first time to your blog- I will be checking you out! Yessssss! I'm glad you found us and enjoyed the recipe! Serving fresh corn on the cob as a side would be fun! Great simple recipe. I use beef kielbasa instead. Spice it up with garlic powder and salt, onion powder. Yum! I made this,but added cheese to the mix lol. I cut my potatoes in dice, they take longer to cook though than what was posted, unless you are boiling them to firm than cooking them, or using a special potato that is softer lol. I made this last night and it was delicious! I didn't even think I liked kielbasa but the recipe changed my mind about it. Thank you for a delicious recipe! 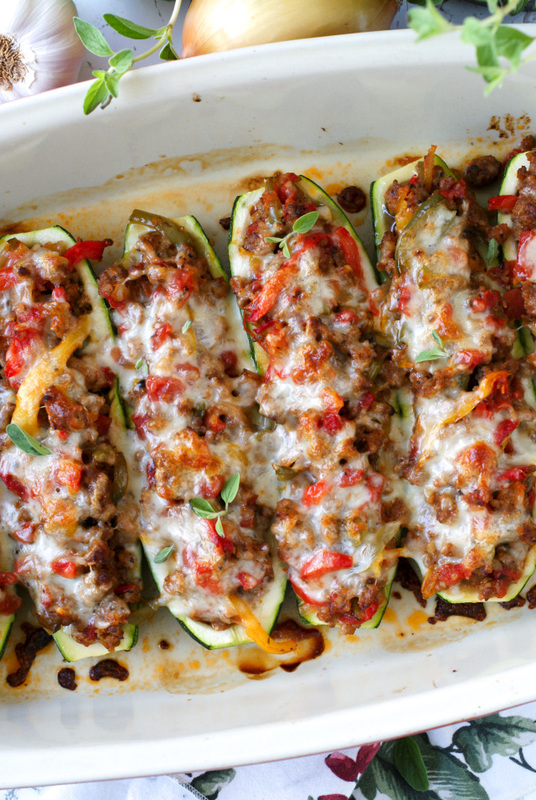 Making this tonight but with Italian Sausage and Baby Bellas.. So simple that I ALMOST can't wait to get it the kitchen! 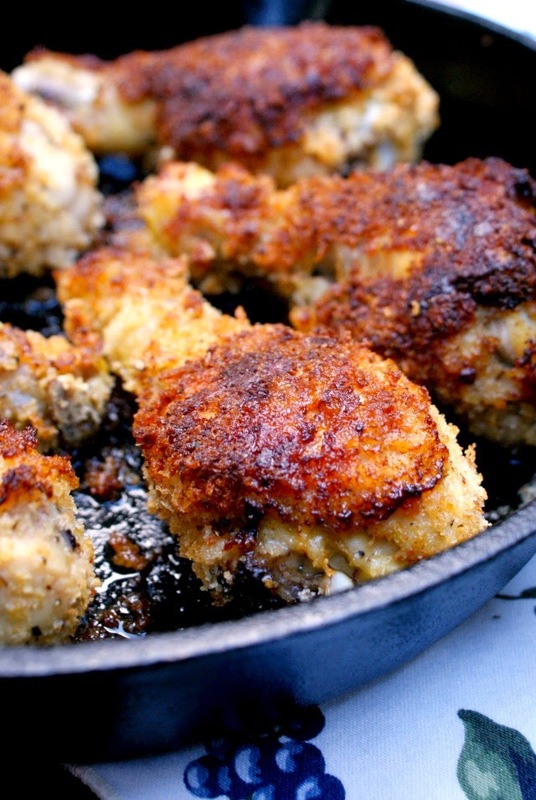 This is an amazing recipe that has TONS of possible variations! I make sure to try to keep all the chopped foods the same size, it just looks amazing that way. I've used sweet potatoes, mushrooms, Italian sausage, whatever I have on hand. You just can't go wrong!! Keilbasa should never be beef OR turkey. I'm not sure what you're buying but as a lifelong Pole, it should be cured seasoned pork. If its not pork, its not real keilbasa. I hate it when people appropriate terms that should never be used. Could you do this as a make ahead meal? If so how? Making this tomorrow night for dinner. Thank you! So I wanted something easy for dinner and something I could save for the next few dinners...AND OH MY WORD THIS WAS DELICIOUS!! I'm happy to have this in my new list of classics, thank you. I was wondering if you've ever substituted salt with anything? Dude. Found this while looking for cheap easy dinners and it was awesome. I am normally not a kielbasa/sausage fan, but sliced thin they were really good. I was upset at first about the 2 pan thing, but the potatoes turned out great and it cooked faster that way, so... Anywho, love the flexibility of it. Yay! I'm glad you decided to go for it even though you're not big on kielbasa. This is a top 5 favorite in our house, and I'm just here to grab the link to share with yet another fan from the holiday crowd. Woohoo! I appreciate you letting me know AND sharing with your friends. You made my day! I've made this twice within a couple weeks. So simple, yet so yummy! Awesome! I love chicken sausage. Thank you for letting me know how it turned out for you! is there any other meat that we could use to make it as i can't find turkey kielbasa anywhere near me!! My family LOVES this recipe and it's become part of our regular rotation. As a busy working mom with two little boys, it's been a lifesaver in helping me get dinner on the table fast. I loved it so much, I just included it in my roundup of fast dinner ideas: https://www.spendingtosave.com/fast-dinner-ideas/ Hope it brings others to your site! It was really yummy. My family loved it. I cooked the potatoes in the air fryer. I diced them and tossed with olive oil and some salt. I cooked them on 360 for about 15 minutes, stirring every 5 minutes. They turn out nice and crispy. i see you posted this years ago, but thanks to Pinterest, i stumbled upon it. I now have found a way to make my love for Keilbasa where my family (including my 2 kids) will enjoy! I used to pans as well and it turned out great! I made a side of pasta salad - Thank YOU for sharing! YUM! !